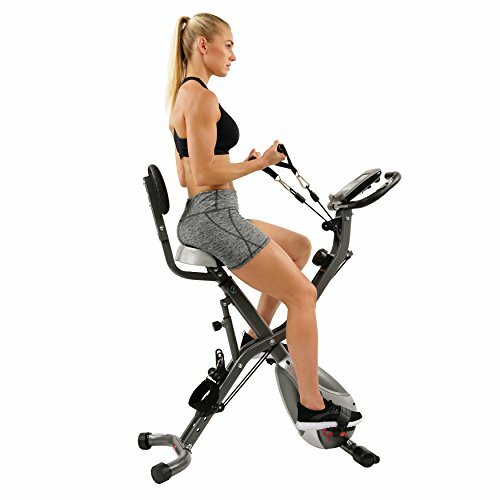 Amazon has the Sunny Health & Fitness Foldable Semi Recumbent Magnetic Upright Exercise Bike w/Pulse Rate Monitoring, Adjustable Arm Resistance Bands and LCD Monitor – SF-B2710 marked down from $169.98 to $129.00 with free shipping. Total Body Workout: The durable arm and leg resistance bands allow targeting of various muscles while maintaining a full range of motion. Digital Monitor: Effectively tracks your fitness progress with the easy to read multi-function digital monitor. Monitor your distance, speed, time and heart rate to see how hard you work.